It makes me and my team equally happy to know that there are wonderful people who carry the Light.God bless you. What can I do to overcome the forces that force initeria in me? Please tell me what the another way. I couldnot control my mind. We have to make efforts and more efforts! Channeling Light regularly is becoming difficult. Sometimes it is easy to do at a stretch for about half an hour but sometimes I am not even inclined to sit for channeling. How to stabilize our emotions and sadana? Guide me Guruji. I have explained this often. We have to make more efforts. There is no other way. And it is possible. 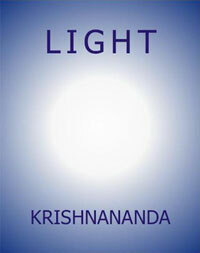 Heartily thanks for this priceless knowledge.I want to know more about Light, How to do this, could you please guide. Please visit our website www.lightchannels.com. You have all the information there. Thank you my friend. I wish to become a Master/Mistress of the Light, here on earth and request any knowledge that you wish to impart please. I have been in contact with some of the Masters before, as well as Angelic beings, Otherkin, my ET family, Elders and Councils, but interaction with the Matrix, and daily living, seems to have steered me away for awhile. Can you help? Namaste. I am glad that so deeply interested and involved in this. If you follow our blog www.lightchannels.com, you will be knowing more about the work which will help you. Light heals. Channelling Light is enough to heal. God bless you. Can you please shed some light on the world after 2012 -- economy, way of living, role of money. When electron is going to perish means collapse of many industries and our electronic gadgets will become obsolete? When electron will be not in use then what about student learning science based on electron? There would be very great changes after 2012. This is all that we can know at this point of time. And as we near December, we may have a clear picture. It depends on how much we, as humanity,spiritualise.But Life continues, though in a different way. Let us not worry too much about destruction. Let us spiritualise and wait. I am glad to go through your blog. I believe and have trust and faith in your words. But I want to share my problems with you. I know the true essence of sprituality and its aim and purpose for the mankind but most of the time what I see is people going away or doing things which are against humanity. I really want to be a healer and help this world transform into a better place filled with love and peace but sometimes my EGO makes me fall down. What exactly should I do? Let us not worry about others. Let us change first. Let us spiritualise first.. Channel Lighht . Light heals. (1) Feeling blessed by reading divine knowledge written in extremely simpler way. (2)We invite you to stay at our house whenever coming to Delhi. I chanel light daily. I have a Question. On 21st Dec. will earth spilt in 2 parts or the people will shift to 7 planets after death? Pls tell me urself I have read the 2012 end or beging but I want knowledge from You. 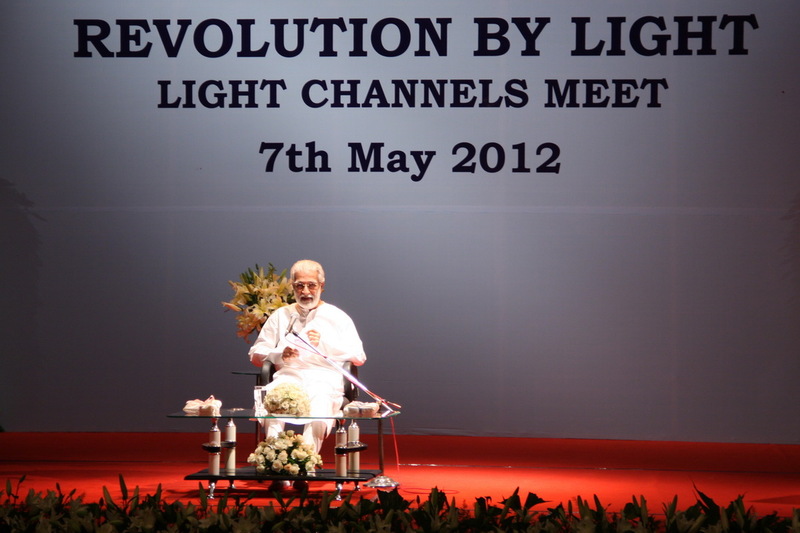 What shoud I do to convert body into Light the methods of it from You to enter into satya yuga. Pls help me Dear Guruji. I am seeking for help from you and pujya Saptarishis. The earth will not split into two. And we will not be shifted to other earths, if we spiritualise. Let us understand this clearly. Let us become good. It is enough. This goodness, spiritualisation, saves us. Who is Krishna then? Krishn is not formless; his form has been clearly described... Sir , pls help me. Who is lotus ocean? I bel he is Kalki. Everyone knows Lord Krishna is an Avatar. He is not definitely formless. The formless is the Light and what is behind the Light.I do not know about Lotus ocean. Lord Kalki is also an Avatar. I AM A VERY SMALL DISCIPLE OF YOU GURUJI FROM OCTOBER 2010.I PRAY GOD,IF I HAVE TO TAKE REBIRTH I WOULD LIKE TO BE YOUR DEVOTEE. Dear Guruji, In the definition of spirituality what is meant by being good. Is it being good to oneself or others? Since good and bad are relative words, when we say good what is the reference for the goodness. Pleas elaborate. Everyone knows what goodness is. Even you. Common sense, Intuition helps better understanding. A good person is good to himself, others and to the whole world.I cannot say more than these. I am not an intellectual who would perhaps write books on this. I had more interest in your foundation and taughts. I know the technique of Light channeling. 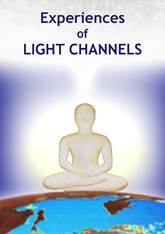 In my school days, I channeled the light regularly. But after finishing my school life, I cannot channel the Light regularly. Somedays I think to do this technique at the evenings. But I cannot do it in that time. My mind tells me to watch tv, play game etc etc. I do not know what is my problem. please answer me what can I do to do this regularly? There are forces that force inertia in us. We have to make efforts and more efforts to overcome it. There is another way ! Glad and Honored to be part of Light Challening. Please continue to guide us with more and more messages from Light.